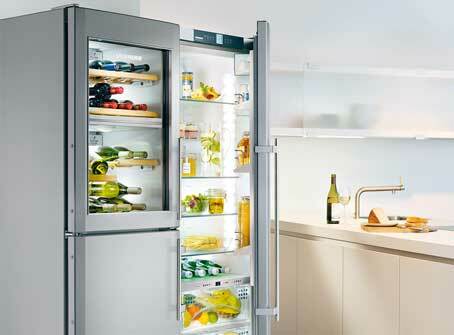 Liebherr is a leader in state of the art high-quality refrigerator designs. Liebherr’s BioFresh technology provides perfect freshness for all types of food. Our company Top Home Appliance Repair does professional Liebherr refrigerator repair. Our services are fast, reliable and convenient. We carry all the genuine Liebherr parts and offer a 3 yearwarranty on them. Our technicians are very knowledgeable and experienced with this brands. We repair all models of Liebherr refrigerators including CS 1200, CS 1311, CS 1360 and CS 130B. We guarantee that after an appointment with us your refrigerator will be fully functional and ready to use! We understand that when your refrigerator brakes it becomes an emergency. Your food can go bad if it is not frozen or refrigerated properly. Also, your electrical bills may increase. You need an appliance company you can trust. We are such a company. We will try our best to come out to your house fast and diagnose the problem. We will order the appropriate parts for you and professionally instal them. Our technicians know everything there is to know about Liebherr so you can be sure that whatever we do is done right. You will be totally satisfied with the results of our work! Besides having extensive knowledge of Liebherr refrigerators, our company also offers your great customer service. Our technicians are not only very skilled but are also very polite, friendly and helpful. They will answer all your questions and find the best solution for you. We also offer flexible scheduling, accurate estimate and FREE service call with every repair job. Our prices are reasonable and fair. You can be sure that you get the high-quality professional appliance repair service at best price possible. Our company Top Home Appliance Repair has more than 30 years experience in appliance repair. In particular, we specialize in European brands such as Liebherr. Our company is family owned and family managed. We serve the entire Los Angeles, Ventura County, Marin County and East Bay. Top Home Appliance Repair does both residential and commercial repair for our clients. We repair all major home appliances such as refrigerators, dishwashers, washers, dryers, stoves and ranges, ovens, steam ovens, microwaves, freezers, ice makers, BBQs, pizza ovens, patio heaters and much more. With our experience and skills, you can be sure that your Liebherr refrigerator is in good hands! We will schedule a convenient appointment for you and will send a qualified technician to your house right away. He will bring with him all the tools and equipment necessary for your particular project. Also, we usually preorder genuine Liebherr parts. This speeds up the whole repair process and saves you some time. Once our tech gets to your house, he will start working right away. He will determine what the problem is and will start solving it. Usually, repair includes cleaning out or defrosting or replacing parts. Our technicians work fast and are very detail oriented. After the job is compleat, our tech will clean up after himself and dispose of all the old parts. He will make sure your refrigerator is perfectly functional before he hands it over to you. You will be happy to see that your broken refrigerator is now functioning better than ever. Besides repairs, we also offer you annual or bi-annual maintenance program. This program covers all appliances in your kitchen and laundry. As a part of this program, our technicians will do all the maintenance for you on a regular basis. They will inspect your appliances every time and catch any problems before they become significant. This maintenance service will save you time and money. Why choose us to do Liebherr refrigerator repair for you? We are top Liebherr refrigerator repair specialists in your area. We specialize in deluxe European brands such as Liebherr and do an excellent job repairing them. Our company has more than 30 years experience in this field. Our technicians experienced and detailed oriented. They will work hard to achieve great results for you. Also, we offer excellent customer service. We work around your schedule and make our appointments fast and convenient. You will be more than happy without work! We guarantee it! For Liebherr refrigerator repair, please call us at 925-265-7782 in East Bay or 628-214-0064 in Marin County. Or you can fill out our short contact form. We would love to talk to you and answer all of your questions. Besides Liebherr appliance repair are also certified to repair Asko, Bertazonni, Bosch, Dacor, DCS, Electrolux, Fisher&Paykel, Frigidaire, Jenn-Air, KitchenAid, Marvel, Miele, Perlick, Samsung, Siemens, Sub-Zero, Thermador, Traulsen, True, Viking, Whirlpool, Wolf. 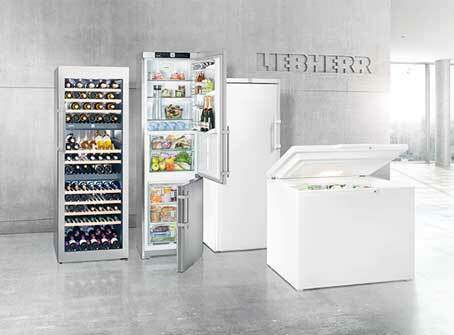 Liebherr is a leader in state of the art high-quality refrigerator designs. Liebherr’s BioFresh technology provides perfect freshness for all types of food. Our company Top Home Appliance Repair does professional Liebherr refrigerator repair.